Disclaimer: I received free products from Steviva in exchange for creating a recipe for the #Sweetenitup blogger challenge. All opinions are my own. The smell of these meatballs is going to make your mouth water. Have you ever eaten Char Siu? It’s the Chinese version or barbecue made with pork and traditionally in that gorgeous red color. 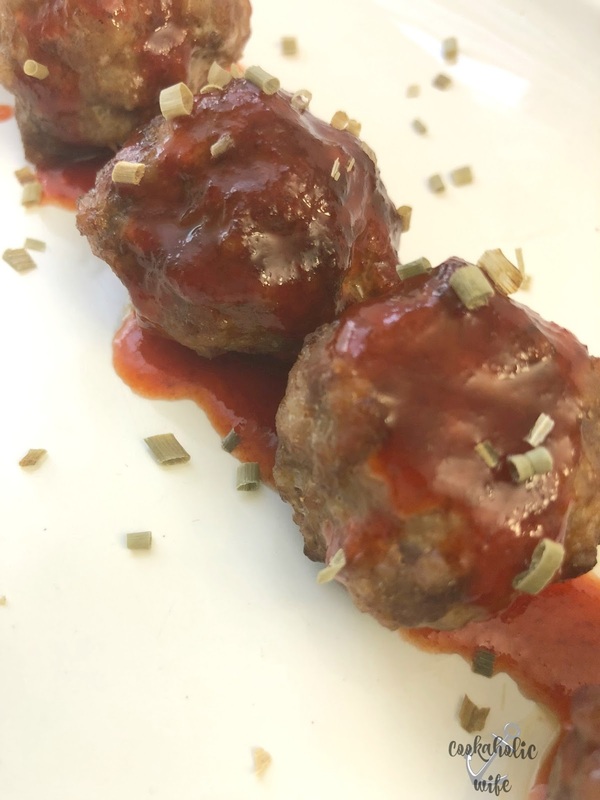 These meatballs are just like that barbecued pork, only in a smaller format and a little less messy to eat. They can be served on skewers as an appetizer at a party or served over rice and with a vegetable to make a complete meal. If you’re getting bored of serving your friends and family a tradition meatball, this is the perfect recipe to make and change things up a bit! I made these meatballs as part of the Steviva Sweet It Up Blogger Recipe Challenge. 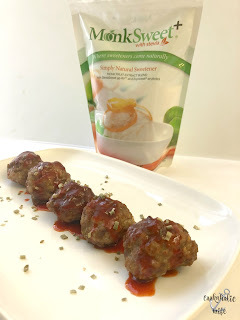 Chinese Pork Meatballs are seasoned with a sweetened and spiced mixture creating a great flavor. Preheat the oven to 350 degrees. Line a baking sheet with a rack and spray with cooking spray. Place the ground pork in a large bowl. Add the remaining ingredients and gently mix to combine, being careful not to overwork the meat. Roll the mixture into 22-24 golf-ball sized meatballs and place on the prepared baking sheet. *MonksweetPlus+ can be replaced with 2 tablespoons of brown sugar. MonksweetPlus+ is made from monk fruit, stevia and erythritol and is twice as sweet as sugar. It’s great to use in smoothies, sauces and dressings. To learn more about MonksweetPlus+ and the other Steviva products, go to www.steviva.com. 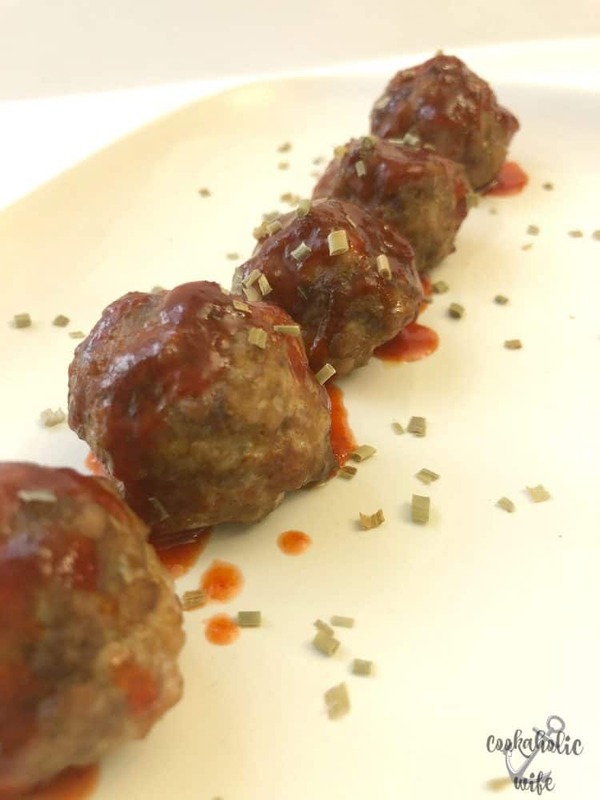 I always bake my meatballs, but you could easily cook these on the stove top in sesame or peanut oil, browning them on each side until cooked through.